"A new settlement on the Great Dismal Swamp Canal where respect for nature and love of community come together to create Culpepper Landing. Built on the traditions set forth by our colonial forefathers, Culpepper Landing will be a place of enduring value for the region - a blending of living opportunities for all ages and heritages. Located on the shores of the Great Dismal Swamp Canal, Culpepper Landing offers access to many activities which take place along the Intracoastal Waterway and Lake Drummond. From a leisurely day of canoeing and recreational boating to more organized events such as the Bonny Blue Boat Ride and Paddle for the Border, residents can take full advantage of all the Great Dismal Swamp Canal and Wildlife Refuge have to offer." -excerpt from Culpepper Landing web site. 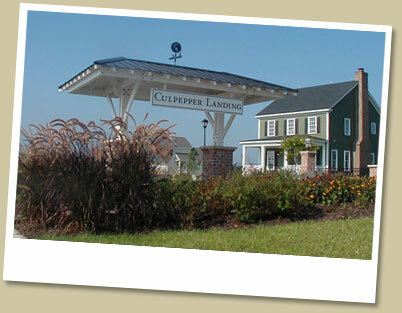 To learn more about the Culpepper Landing Community, visit their web site at www.culpepperlanding.com. "A community of well-crafted homes in the tradition of Atlantic Coastal villages. With gracious front porches, the Bay Front Club, nearby deep-water marinas, and pedestrian-scaled streets that lead to the Chesapeake Bay. Here, life returns to a simpler time. A time when pedestrians were part of the landcape, and cars were not. A time when housing styles were diverse and interesting, neighborhood streets were smaller, sidewalks were everywhere, neighborhood shopping was within walking distance, and massive expanses of concrete and asphalt were nowhere to be found. A time when life — and everything about it — was simpler. East Beach. A simple life on the Chesapeake Bay." -excerpt from East Beach web site. 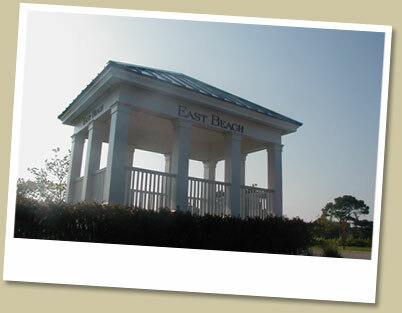 To learn more about Norfolk, Virginia's East Beach community, visit their web site at www.eastbeachnorfolk.com.